I would not consider baseball to be a game of empathy; I’m sure I’m not alone in this. Sports, in general, are seen by many to be the realm of physical and technical prowess. Successful players, it follows, are those who can run, hit, and throw with great skill. Except, well, that’s not really the truth (and maybe I’d know that if I followed baseball more closely, or at least watched Moneyball once or twice). 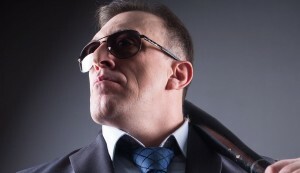 In baseball — as in business — personality traits play a significant part in success. 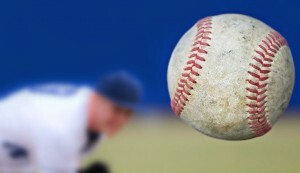 Over the past decade, Dr. Tom Schoenfelder, senior vice president of research and development at Caliper, and a team of researchers have been working with 11 Major League Baseball (MLB) teams to assess the personality traits of professional baseball players and examine the connections between these traits and success in the MLB. Dr. Schoenfelder and his team looked at a database of over 2000 players who had the potential to be drafted into the MLB — that is, players who were being actively considered by major league teams. Of those players, 400 were drafted and had major league experience; of those 400, 150 had “substantial major league experience” — i.e., they spent more than one full season at the major league level. Dr. Schoenfelder and his team were not necessarily looking at how the personality traits of these players affected their individual performances (e.g., in terms of batting averages, RBIs, etc.). Rather, the point of the study was to determine how players’ personality traits might impact stats that are more closely aligned with team wins, rather than individual performance (e.g., on-base plus slugging (OPS), wins above replacement (WAR), etc.). “Mental toughness” matters: Dr. Schoenfelder and his team found found that mental toughness — the ability to tolerate stress, bounce back from failure, and control one’s emotions; also known as “emotional intelligence” — was “consistently important” with respect to OPS, WAR, and plate discipline. Empathy plays a crucial role: I found this finding most interesting of all: “We found that people that were better at getting on base had a higher level of empathy, indicating that they were able to pick up on subtle cues [from] the pitcher,” Dr. Schoenfelder explains. Physical skills + the right personality traits = success: Every player who had the potential to be drafted had the physical skills to be successful, but Dr. Schoenfelder and his team found that, in baseball, it takes more than athletic prowess to be a great player. “What is needed in addition are these other intangible elements, these personality traits,” Dr. Schoenfelder says. So, What Does All of This Have to Do With Business? Let me put it this way: if physical skills are not enough to succeed in sports — the realm in which physical skills are most glorified — then what makes us think that technical skills are enough to succeed in business? Employers can only truly understand a candidate’s potential if they consider not only the candidate’s technical skills, but also the candidate’s personality traits. As a study from Leadership IQ points out, only 11 percent of new hires fail because they lack the right skills. The vast majority of new hires fail because they lack the right personality traits to succeed in a given business environment.